LONDON (ICIS)--European styrene spot prices for August are on an uptrend on the back of supply limitations, including a force majeure in the Netherlands, and logistical problems, sources said on Tuesday. Offers in Tuesday morning trading stood at $1,420/tonne, while bids were at $1,375/tonne. These numbers are in sharp contrast to prices a little over a week ago. Values have increased on the back of reduced availability, with talk of production disruption at least in one facility. Moreover, sources have mentioned reduced run rates due to persistently high temperatures in Europe, higher prices in Asia, logistics complications on the River Rhine due to low water levels as well as delays to US imports. The range on 27 July closed at an average of $1,302.50/tonne, while at midday on Tuesday the average was at $1,397.50, an increase of 7% in that period. There was talk last week of supply disruption in Rotterdam, and on Tuesday a force majeure on styrene production at the Maasvlakte facility in Netherlands was confirmed. 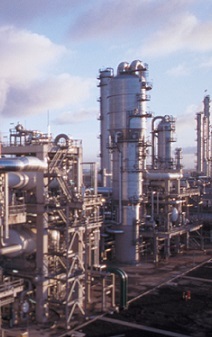 The facility is a 50:50 joint venture between German chemical major Covestro and LyondellBasell. A spokesperson for Covestro confirmed to ICIS the force majeure declaration on Tuesday afternoon, although it fell short to give reasons for the declaration. "I herewith confirm that Covestro has declared force majeure regarding the supply of styrene monomer from Maasvlakte," it said. Persistently high temperatures in much of Europe have also impacted run rates at styrene plants, with some estimating that output has been reduced by around 5% and in some cases by up to 10%. Low Rhine water levels have also complicated logistics, and increased the cost of barge freight rates. The cost per tonne has doubled in some cases, with indications that what was previously costing around €8/tonne is now around €15-20/tonne. Offers for September were backwardated at $1,390/tonne, with few bids seen in the morning session. August demand is seasonally softer. Prices are on an FOB (free on board) Antwerp-Rotterdam-Amsterdam (ARA) basis.